In this concluding post on our maiden visit to Serengeti national park, we wanted to showcase some of the animals in their natural habitat that we found to be nice portraits. The feature image of the Lioness in golden morning sunlight is one such pleasing portrait. You would have read more about that experience in the post on morning with a pride of Lions. 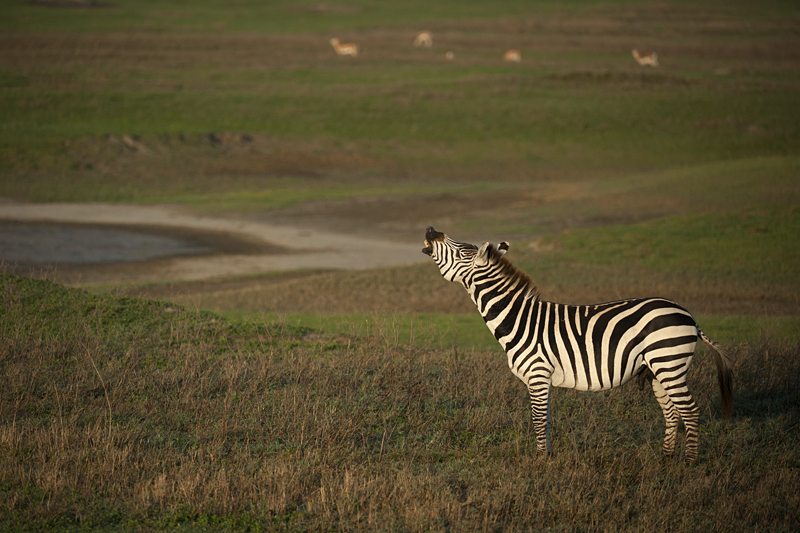 The following image of the Zebra stallion was taken when he was demonstrating his show of dominance in Ngorongoro crater. 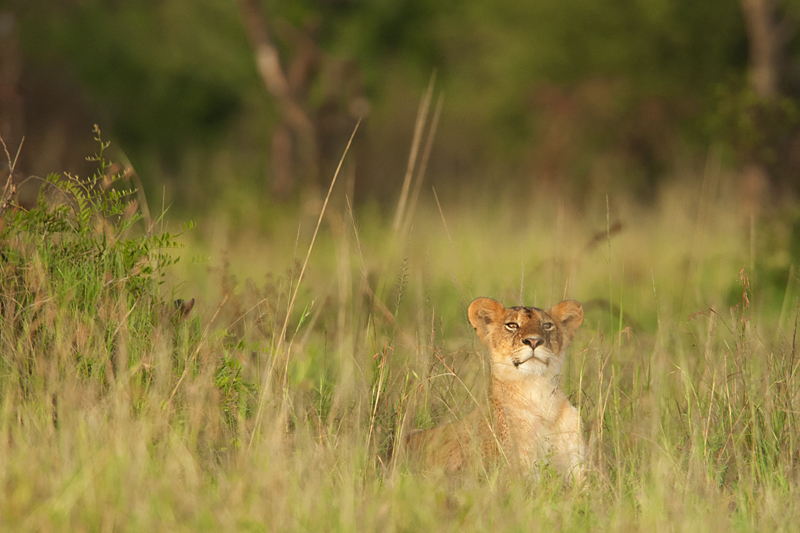 This image of the African Lion cub in tall grass was part of the series where we waited for the rains to subside before we witnessed the Lion cubs play, which we showcased in the post on dancing with African Lions. 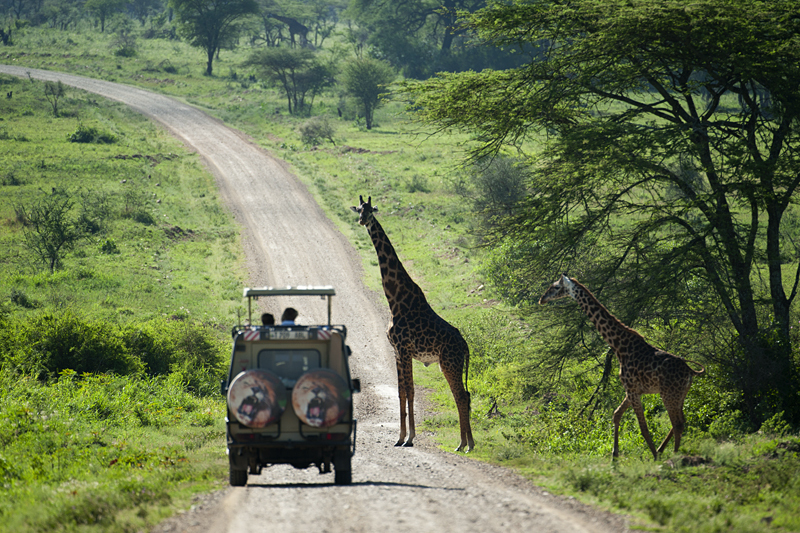 The image of a mother Giraffe and the young was taken when they were crossing a road deep inside Serengeti national park. 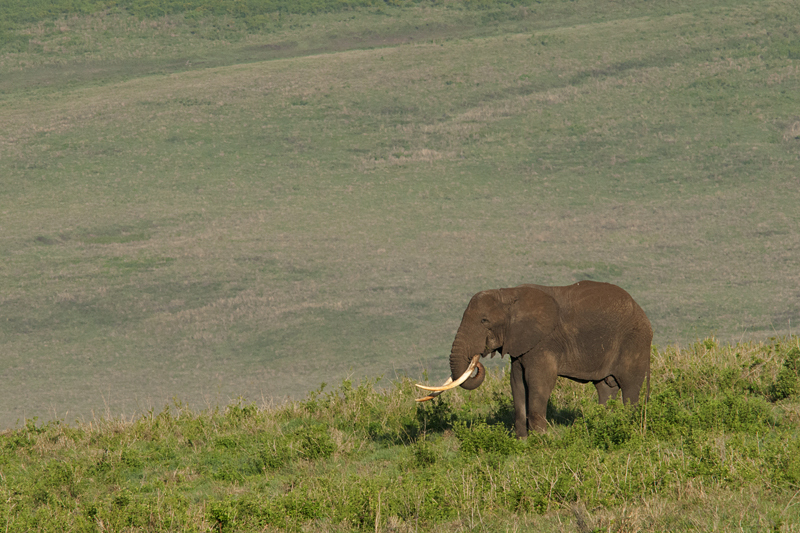 And the image of this massive male African Elephant was taken in Ngorongoro crater as he was busy foraging knowing very well that there wasn’t any predator that could threaten him in any way. 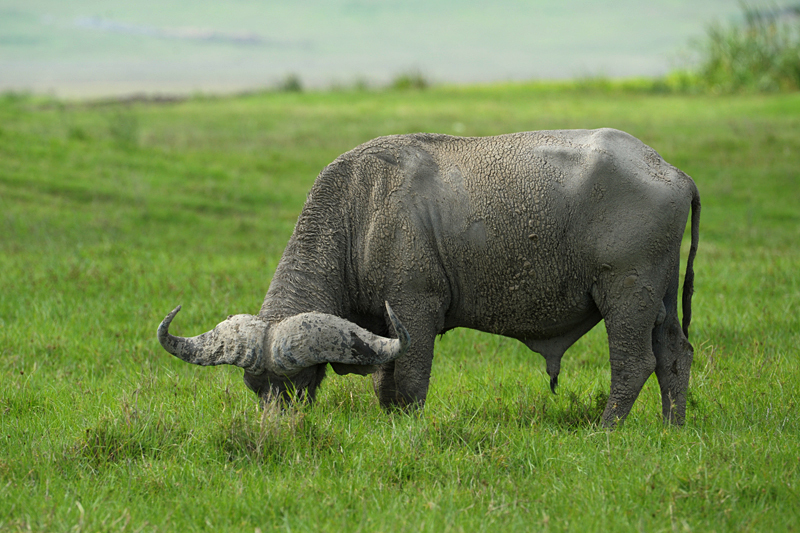 And finally this image was to showcase the massive horns of the Cape Buffalo as he was grazing next to a waterhole in Ngorongoro crater. love that image of the cub peeking out of the grass, nice work. Just stumbled onto your blog in a catalogue and want to thank you for taking the time and energy to put this together. Absolutely breathtaking pictures. Feel like I’ve been privileged to see something very special.